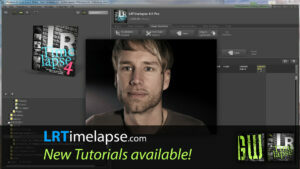 Hey guys, thank you very much for your overwhelming feedback to LRTimelapse 4! I really appreciate hearing that you are enjoying the new version and obviously my written instructions have been useful too. Nevertheless, I’ve just finished two Tutorial Videos for LRTimelapse 4! The first one is the updated Basic Tutorial where I explain the basics from importing over editing and rendering a time lapse sequence. The second video covers the editing of a holy grail sequence. This time I’ve chosen a sequence that was rather messed up – otherwise it would have been too easy – and still managed to get a perfect result, check it out! I’ve added a short before&after video of this sequence to the tutorials page as well. You’ll find the new tutorials on the tutorials page! As usually, I appreciate your feedback in the forum.